It isn’t the most glamorous topic and is as enthusiastically dealt with as load shedding or laundry day; yet arguably it is as important an issue as poaching or a severe drought. Food waste, rubbish, trash, garbage – whatever word you choose to describe what you throw away – although where exactly this “away” is – no-one knows as where it ends up – in landfills, is exactly what is causing the problem. Landfills are being filled to capacity as the amount of waste produced by humans increases at a staggering rate. This has serious implications for municipalities struggling to cope with waste management and for communities who have no waste collection services. The problem however has brought with it an enormous opportunity and, luckily, there are already pioneers who are championing solutions to this issue. 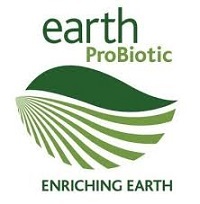 Gavin and Karen Heron, owners of Earth Probiotic offer smart, cost effective solutions that turn food waste into composting treasure. 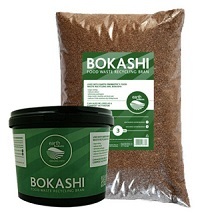 is bokashi, a wheat-bran inoculated with a mix of probiotic bacteria, yeast and fungi. Developed in the 1980s in Japan bokashi is now globally used for the management of food waste. The trick behind this clever little mixture is that it helps break down food waste through a process of fermentation, which means the food does not rot and therefore no CO2 is produced. During this process, “bokashi juice” also forms which is loaded with microbes and nutrients, making it a great natural fertilizer. This juice can also be poured down drains to keep them odour free and it is very useful in preventing sludge from building up and blocking drainage in septic tank systems. There are many efforts to help reduce paper, metal and plastic waste through recycling and Earth Probiotic’s bokashi system is helping diminish the large amount of food waste that continues to rise each year. Even if one is not the most avid of gardeners who need fertilizer or you have a septic tank in the home, reducing what you ‘throw away’ is a good enough reason to turn your food waste into something better than smelly landfill.